In view of the fact that the roof breaking characteristics and overlying strata migration law of close coal seams under repeated mining conditions are not clear, which seriously affects the safety advancing of working face. A large-cutting-height panel in Panjiang of Guizhou Province is used as an example, the roof breaking characteristics and overlying strata migration law under repeated mining are studied using theoretical analysis, numerical simulation and field observation. The research results show that although the roof weighting is not strong in close coal seams mining, there are three kinds of roof weighting phenomena frequently in different overlying strata stratum and the coal face is easy to failure due to the repeated mining; the theoretical formula (5) for determining the support resistance is obtained by establishing the mechanical model and the calculated support resistance of 7200 kN can be determined; compared with the single coal seam mining, the initial weighting interval is smaller and the periodic weighting interval will not change much under the repeated mining; after theoretical analysis and numerical simulation, it can be known that it is necessary to strengthen the control of coal face stability and prevent safety accidents caused by coal face rib spalling in close seams group under repeated mining. 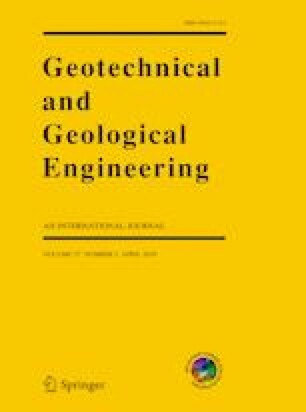 The research results provide a theoretical basis for coal seam mining under similar conditions. We acknowledge the financial support from the Scientific Research Foundation of Guizhou Provincial Department of Science and Technology and Guizhou University (QianKehe LH 7280) and the annual academic training and special innovation program of Guizhou University in 2017 (Guizhou Kehe 5788) and The Youth Science and Technology Talents Development Project of Guizhou Education Department (Guizhou Education Cooperation KY character  114) and the funding from the Key Laboratory of Safety and High-efficiency Coal Mining, Ministry of Education (JYBSYS2017101) and The first class professional “mining project” in Guizhou province (SJZY2017006).